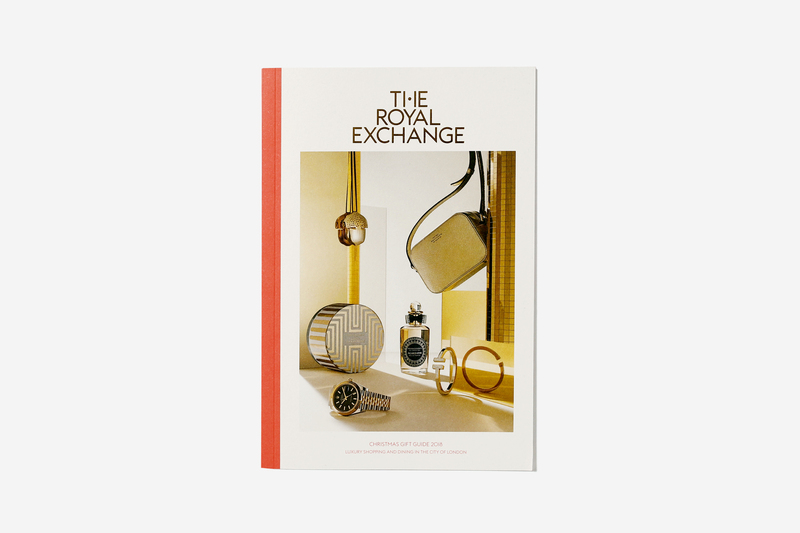 Show Media is delighted to have produced The Royal Exchange 2018 Christmas Gift Guide. With original photography by Andy Barter and Dan McAlister, and illustrations by Nathalie Lees, the booklet highlights the exceptional brands and gifting items available from the historic London shopping destination. Accompanying the enticing visuals are evocative features about the scents we associate with Christmas, the design inspiration behind Georg Jensen’s annual Christmas Collectibles ornaments and the momentous opening of Fortnum & Mason at The Royal Exchange, with its famed food hall and a Fortnum’s Bar & Restaurant bringing a new layer of luxury to the magnificent central courtyard. The Christmas Gift Guide is available within The Royal Exchange and has also been distributed with The Sunday Times in London and the South East, and to local businesses and hotels within the City of London.